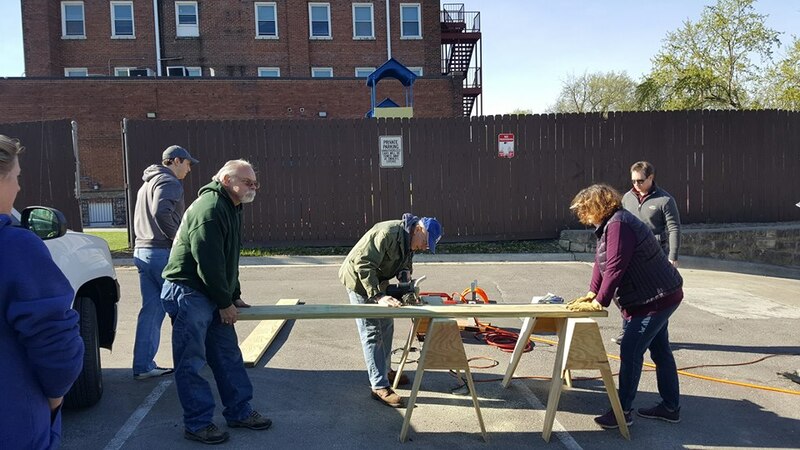 Last week was a very, very busy week for us Rotarians. Sunday started the week with a picnic at the Rotary Youth Camp. The Waldo-Brookside Rotary Club was hosting guest from Australia and invited them to the camp. It was a great day for a picnic. Katie McCalla presented the video on Camp Rise that was shared with our club the previous Thursday. 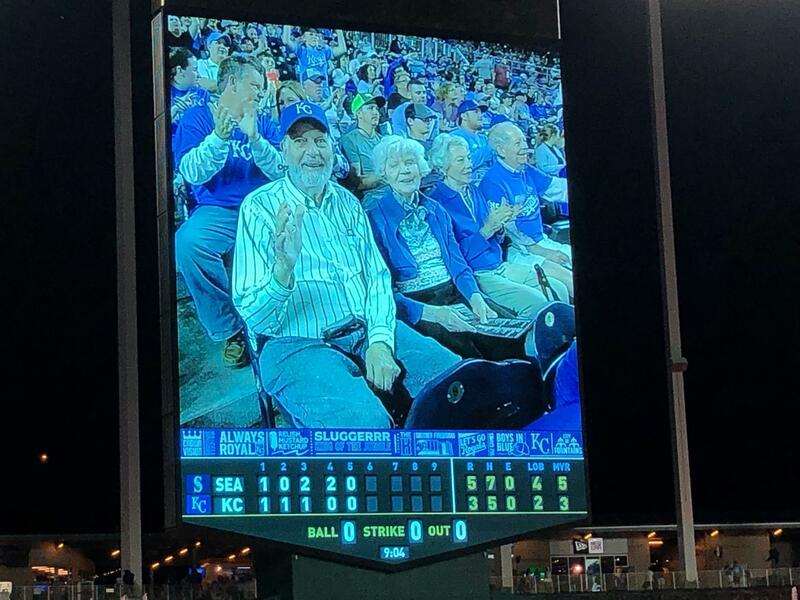 Monday Joe Privitera invited the Waldo-Brookside Club and their guest to his KC Royals Suite to watch some baseball. It was another great day to visit with the Australian guest. They really enjoyed our “American” past time. 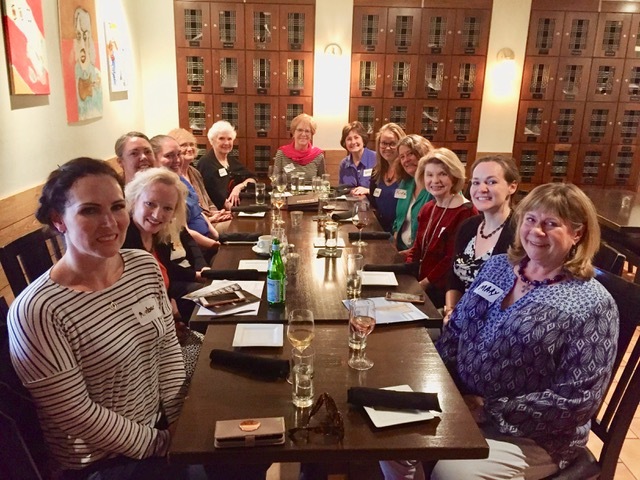 Tuesday the Women of Rotary of our club had their monthly gathering and all of the women visiting from Australia visited the happy hour and shared stories about life down under! It was blast. Wednesday we headed back to the ball park, without the Australian’s, to host the Great Kansas City Day appreciation picnic. Travis Kelce of the KC Chiefs visited the picnic. Our own Denny Bolte was honored that evening and was in the Buck O’Neil Legacy Seat. Congratulations Denny! If you stayed for the game you also got to see Whit Merrifled set a hitting record. It was an “historic” night! Our club members, Tony Andresen, Barbara Dolci, Mary Kinglsey, Phil Kinney and Dallas Ziegenhorn opened their homes to the guest from Australia. Tony’s guest had to return home for a family emergency. Our host organized many activities. Thursday night they arranged to expose our guest to the KC jazz scene and visited the Black Dolphin. Lonnie McFadden performed that night and I heard everyone had a blast! Saturday was a big day for volunteering opportunities. 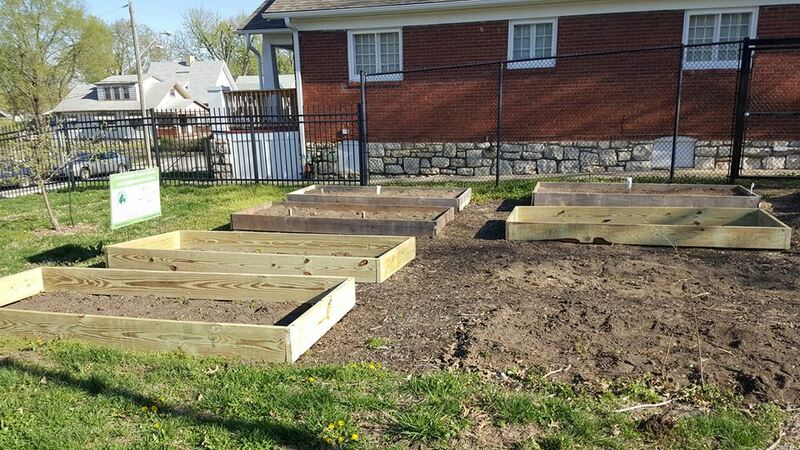 Some Rotaract members, Satellite Club members and volunteers from our lunch club visited Sheffield Place to build garden beds. It was funded by the Venture Fund. The “Shoes for Orphan Souls” committee met at Linn Mills' house to pack shoes. And we had volunteers for the weekly Bagel Run. Thanks to everyone that pitched in to make a difference. It was a GREAT week to be a Rotarian! Kentucky Derby Party for Polio! Join your fellow Rotarians for a fun afternoon of Mint Juleps and Fried Chicken! Beer, wine and other appetizers will also be served. We inducted two new members at last week's meeting. Please help us welcome Dana Hetrick and Tom Woolwine to the club! Click here to read about Marc McCarty! Click here to read about Leslie Gasser! Click here to read about Dr. Kimberly Beatty! 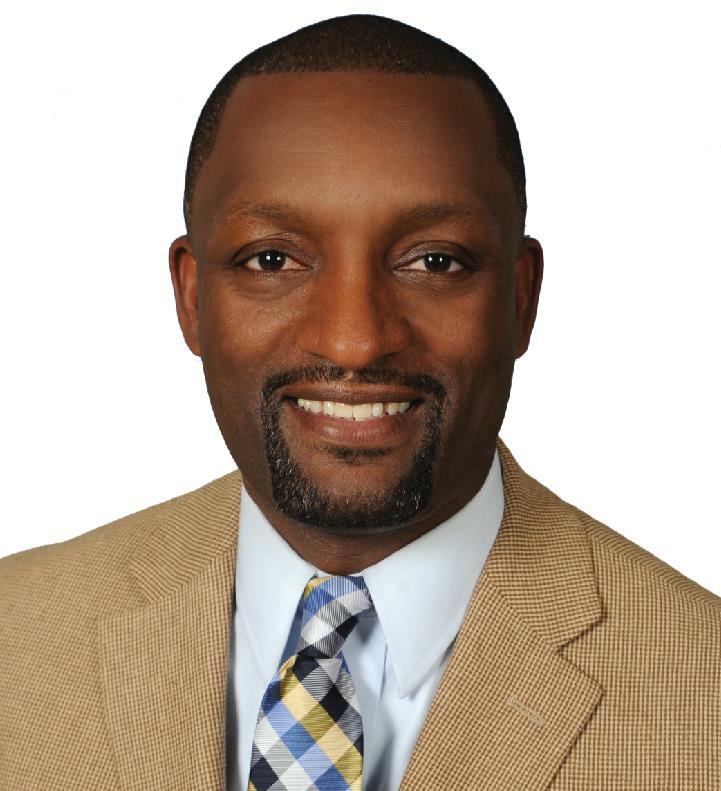 Our Speaker this Week is Dr. Mark Bedell, Superintendent of KC Public Schools. It is also the Education Excellence Awards Presentation. Kansas City Public Schools Superintendent Mark T. Bedell, Ed.D. is a talented, caring teacher and administrator and one of the top urban public-school leaders in the United States. As the child of a working-class family in upstate New York, he overcame significant challenges and was inspired to take his education seriously by teachers and other caring adults who pushed him to achieve his dreams. Dr. Bedell was a multi-talented youth who leveraged his basketball skills and grades into an opportunity to study at Fisk University, where he excelled in the honors program and became one of the nation's leading scorers in NCAA Division III. He earned his Bachelor of Arts degree in history in 1997. He went on to earn a Master of Education degree in educational leadership and administration from Tennessee State University in 2000. With guidance from students, parents, staff and partners, Dr. Bedell crafted and enacted first a post-entry plan and later a five-year strategic plan which placed student achievement at the center of the school system’s work, made the central office more effective and efficient, improved School Board governance, and increased staff skills and morale. He has forged innovative partnerships with Sprint and the Consulate of Mexico on behalf of students and families. Dr. Bedell has developed a mentorship program to match caring adults with about 8,000 deserving students. In partnership with Metropolitan Community College and the Full Employment Council of Greater Kansas City, he led the effort to launch a Middle College Program to give 17- to 24-year-olds who never finished school an opportunity to earn a high school diploma and enter college. Dr. Bedell has received many recognitions, including being named a “Superintendent to Watch” by the National School Public Relations Association and a “New Superintendent of the Year” by the Missouri Association of School Administrators. 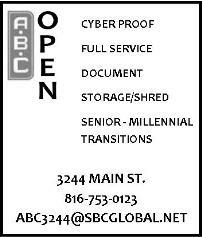 He is also one of only 51 people selected to participate in the "Missouri Influencer Series" by The Kansas City Star. Dr. Bedell's success at KCPS led to numerous speaking engagements at events and conferences across the nation. He has written several articles and opinion pieces for newspapers, magazines and journals. For Dr. Bedell, his most important honor to date came in the spring of 2018 when students from Southeast High School gave him an award of appreciation for his efforts on their behalf and the positive impact he will have on future students. Dr. Bedell and his family have made Kansas City, MO their home; his wife is a local attorney in the community and their three children attend KCPS schools. Rear Admiral Jeffrey Penfield was our speaker on Thursday and he gave us a view of the current Navy and the strength of the United Sates fighting forces. He stated that the united States has 259 ships,33,000 sailors, and 3,000 navel air force personnel. Their job is to protect our country by Global Environment, Superior Technology and Connected Information. America has been a Superior power for 25 years - Now, Russia, China, and North Korea are trying to wrestle that title from us. Admiral Penfield states that our military budget is constantly being cut. Of the 259 ships that we have, we need 355 ships (so what else is new). The Navy is a good life. It is a good career and and good way to make a living. The caliber of person who is going into the service is outstanding. A College degree does not guarantee a officer rank. The pay and allowances are much superior to the old "Battleship" Navy. One thing that the Admiral has in common with all other people I have heard speak on behalf of the military is "if some is good, more is better." All military people want more and more of everything. Money, Ships, Arms, People - you name it and they want it. The argument can be made for - Why is Afghanistan the longest running war in the history of the United States. Why are we the there in the first place and even amid all the talk, why are we still there Killing American boys. Well perhaps that is a topic for another day. Admiral Penfield is articulate and well spoken. We are honored to have him in our presence and we are happy he is so knowledgeable about the military. We wish him the very best in all things. Just a reminder that our next Rotary After Hours is being held Thursday, April 25 at the Nelson Atkins Museum of Art. So we can know how many docents to schedule for our tour, we need to get a good headcount. Please sign up for yourself and your guests on clubrunner before the end of the week. We will meet in the Bloch Lobby at 5:00 pm to enjoy conversation and the small plates and drinks that are available for sale before we go on our docent led tours of the museum’s collections at 6:00 pm. We will break into groups of 10 for the tours. On your tour of highlights throughout the museum discover why some experts have described Nelson-Atkins objects as masterpieces. This tour includes both the 1933 original Nelson-Atkins Building and the 2007 Bloch Building addition. Our tour will last about 75 minutes but you can leave earlier if you need to. The museum does ask for us to start our tours promptly at 6:00. If you are a member of the Nelson-Atkins be sure to bring your membership card, as you will get free parking and 10% off the price of your food. If you are not a member the parking is $10.00 in the garage. The entrance to the garage is off of Oak Street and has an entrance into the Bloch Building. We look forward to seeing you at the next Rotary After Hours. Please click here to sign up or call Mandy to be put on the list of attendees. The Shoes Packing Party was a fun event with lots of laughter and hard work involving “People of Action”!!! 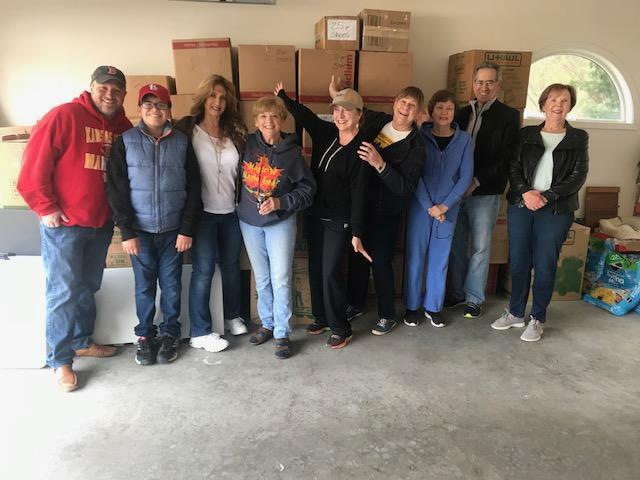 Thank you to Mary Kingsley, Brad Kleindl, Mary Bright, Diane Scott, Eric Bubb, Steven Bubb, Francene Lisle, Sherry Cady, Christy Chester and Mala Barnes for packing shoes and giving moral support where needed. Kansas City Club 13 will deliver their contribution of shoes to the “Shoes for Orphan Souls” caravan on Wednesday, April 24th between 4:15 p.m. – 5:30 p.m. at Finnegan’s, 503 E. 18th Ave., North Kansas City, Mo. 64116. Thank you for your generous support to a very important humanitarian project, known as “Shoes for Orphan Souls.” Final shoe and sock count will be announced at our regular meeting on Thursday, April 25th. The "Strike Kings" won the second half of the season last week. Peter Ho, Neil Barnett and Lon Lawton will play Dave Boone, Bob Lager and Shannon Miller to determine this year's First Place team. The match is set for Wednesday April 17th. There were two high games. Peter Ho rolled a 213 and Eric Bubb ended the season with his highest game of 214. Twenty-four bowlers leave for Columbia tomorrow to play the St. Louis Rotary Club. We want to bring the traveling trophy home to Kansas City. 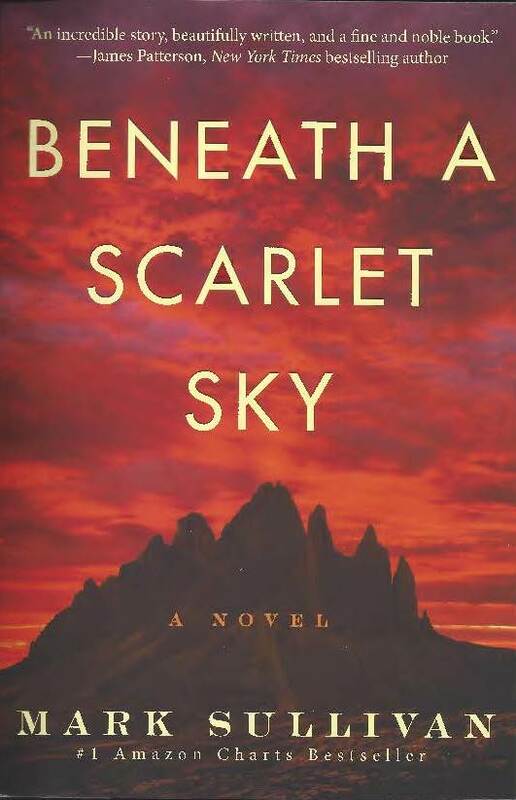 Please join us for Rotary Book Discussion Group for the discussion of the book “Beneath a Scarlet Sky” by Mark Sullivan. The book is available at Rainy Day Books and the discussion will be led by Vivien Jennings. 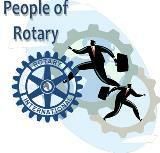 All Rotarians and guests are welcome. Click here to sign up. Based on the true story of a forgotten hero, “Beneath a Scarlet Sky” is the triumphant, epic tale of one young man’s incredible courage and resilience during one of history’s darkest hours. Pino Lella wants nothing to do with the war or the Nazis. He’s a normal Italian teenager-obsessed with music, food, and girls –but his days of innocence are numbered. When his family home in Milan is destroyed by Allied bombs, Pino joins an underground railroad helping Jews escape over the Alps, and falls for Anna, a beautiful widow six years his senior. In an attempt to protect him, Pino’s parents force him to enlist as a German soldier – a move they think will keep him out of combat. But after Pino is injured, he is recruited at the tender age of eighteen to become the personal driver for Adolf Hitler’s left hand in Italy, General Hans Leyers, one of the Third Reich’s most mysterious and powerful commanders. This past weekend the camp hosted the American Heritage Girls. They had a great time and helped out with a service project also. 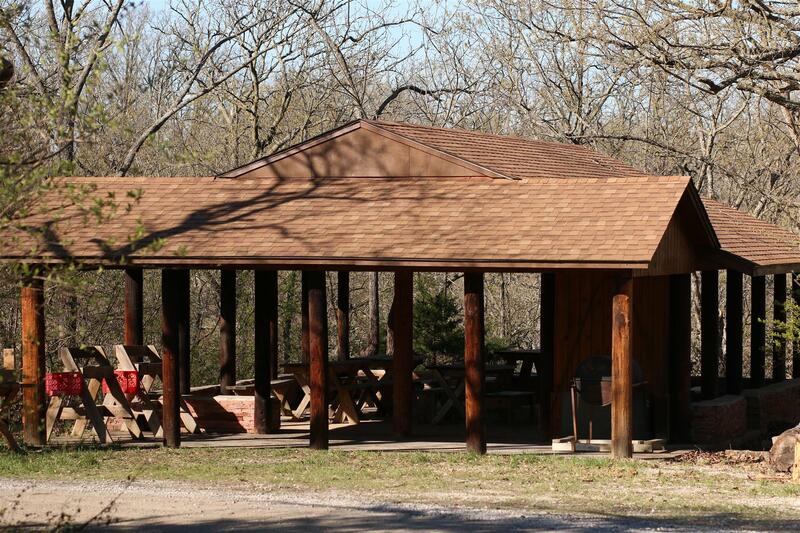 Saturday a Boy Scout was working on his Eagle Project, cleaning up, painting and staining the Lower Shelter down the hill from the kitchen. It looks fantastic! 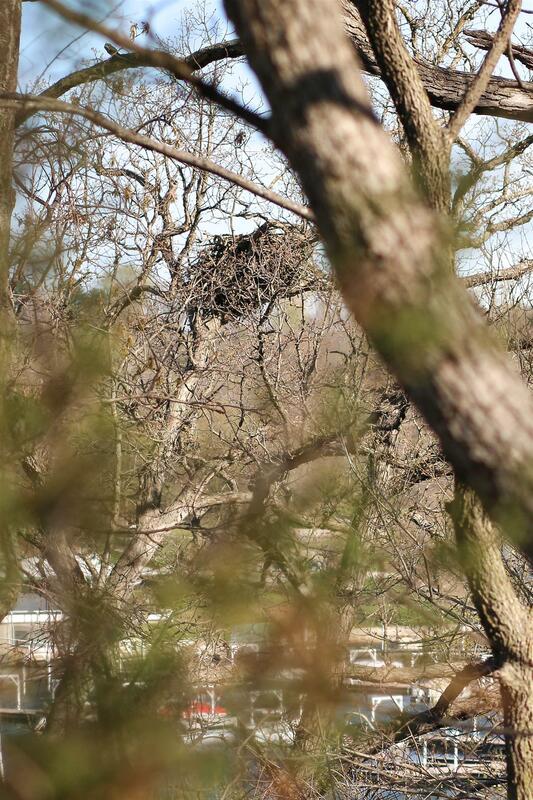 We also have new residents at the camp, a pair of bald eagles have built a nest down close to the lower shelter. 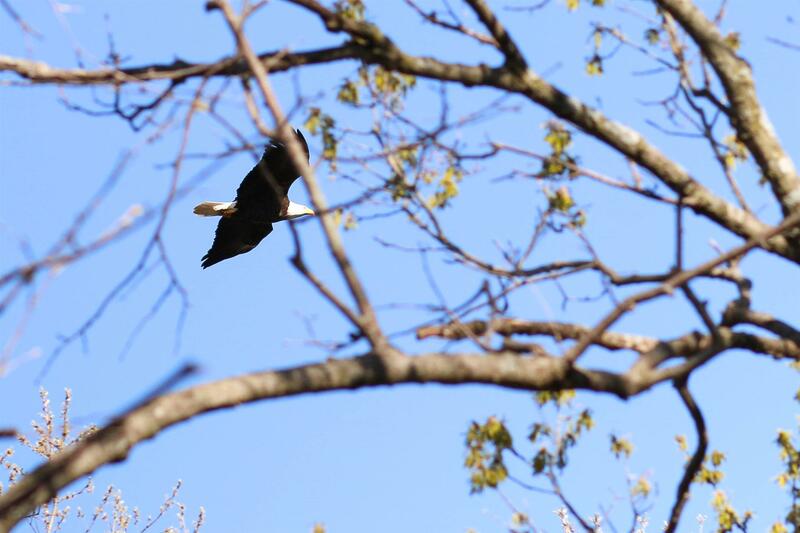 Hopefully there will be more than two eagles soon!